Join me Monday, September 24th, for a one-hour live and interactive FutureofEducation.com webinar with returning guest Nikhil Goydal about his book, One Size Does Not Fit All: A Student’s Assessment of School. 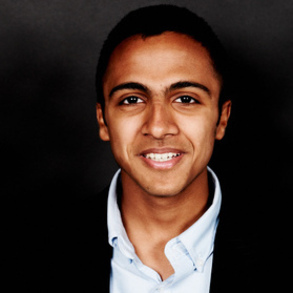 "17-year-old Nikhil Goyal offers a ground-breaking prescription for transforming American schools. Drawing from hundreds of interviews with renowned thinkers like Howard Gardner, Seth Godin, Dan Pink, Noam Chomsky, Diane Ravitch, and Frank Bruni, Goyal calls to radically redefine the way the country does schooling. From implementing an anti-disciplinary curriculum to reinventing the teaching profession, his propositions are timely and provocative. Goyal walks us through the tenets of the system, shattering claims dispersed in the education conversation" (from the publishers website). Nikhil's biography is below. Immediately following the interview (but in a different Blackboard Collaborate room), Zak Malamed will lead a Student Voice panel discussion for students, parents, teachers and others to reflect upon and discuss what happened during yesterday's NBC’s Education Nation Student Town Hall. The discussion will give participants the opportunity to reflect on the Town Hall and discuss what can be done to enhance and empower the student voice nationwide. Student Voice is a grassroots organization that works to unite and elevate the student voice. This support network serves to aid and empower students in their efforts to be heard and earn their rightful seat at the table. Recordings: The full Blackboard Collaborate recording is at https://sas.elluminate.com/p.jnlp?psid=2012-09-24.1726.M.9E9FE58134BE68C3B413F24B3586CF.vcr&sid=2008350 and a portable .mp3 is at http://audio.edtechlive.com/foe/nikhilgoyal.mp3. Location: In Blackboard Collaborate (formerly Elluminate). Log in at https://sas.elluminate.com/m.jnlp?sid=2008350&password=M.40E340B18D367B371CAFC8A55F38F4. The Blackboard Collaborate room will be open up to 30 minutes before the event if you want to come in early. To make sure that your computer is configured for Blackboard Collaborate, please visit the support and configuration page. Recordings: The full Blackboard Collaborate recording is at https://sas.elluminate.com/p.jnlp?psid=2012-09-24.1738.M.1BE474FB83E2CCCD242DEFEE257675.vcr&sid=2008350 and a portable .mp3 file is at http://audio.edtechlive.com/foe/studentvoice.mp3. Nikhil Goyal's work has appeared in the New York Times, Wall Street Journal, Fox and Friends, Fox Business: Varney & Co., NBC, Forbes, and Huffington Post. Nikhil has spoken to thousands at conferences and TEDx events around the world from Qatar to Spain and has guest lectured at Baruch College in New York. He is leading a Learning Revolution movement to transform the American school system. A senior at Syosset High School, Nikhil lives with his family in Woodbury, New York. 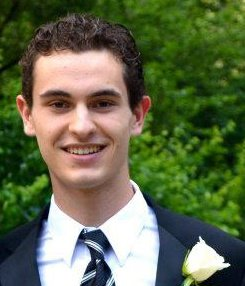 Zak Malamed is an 18-year-old advocate for the student voice in education policy. He is the organizer of the #StuVoice Twitter chats and StuVoice.org. These efforts focus on uniting and centralizing the student voice. Futhermore, Student Voice provides a support network of students worldwide that will work with students and for students to enhance and empower the student voice. A graduate of Great Neck South High School, Malamed served as Class President for three years and Student Government President for one year. He also served as Long Island Regional Director and Political Director for the New York High School Democrats. During the summer, he works for The Lanier Law Firm, PLLC. Malamed also serves on the Do Something Youth Advisory Council and is working closely with local politicians to develop youth advisory cabinets. In 2012, he received both the NASSP/Herff Jones Principal's Leadership Award and awards from the Long Island Press for his work as a high school journalist. He will be a freshman Government and Politics major at the University of Maryland, College Park.